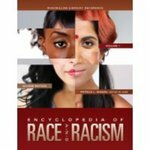 Doolin, Angela and Sealey, Kris, "Encyclopedia of Race and Racism, 2nd edition" (2013). Philosophy Faculty Book Gallery. 31.